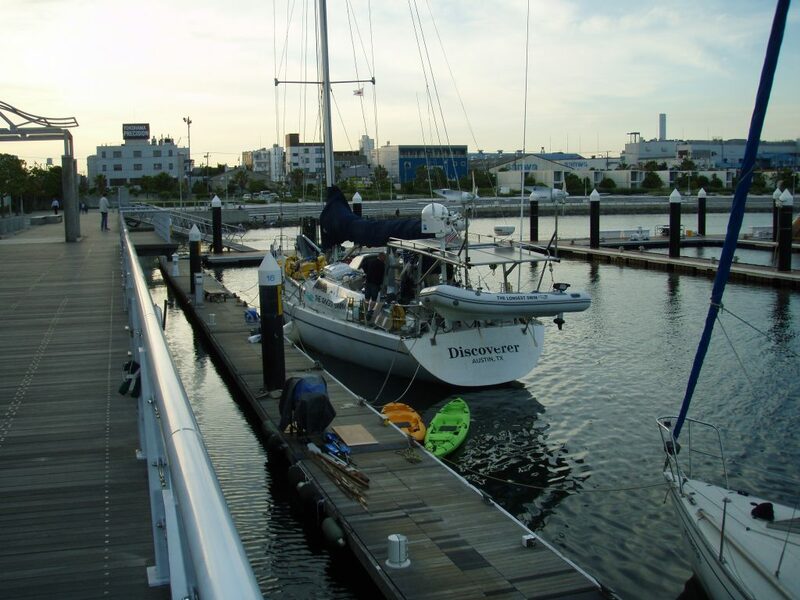 For just over a week our support boat Discoverer and the crew have been busy on land preparing for their six to eight months expedition to accompany Ben across the Pacific Ocean. While they’ve been working hard stocking the boat with foods and supplies, Ben’s been busy back in American with his side of the preparations before diving head first into the project. 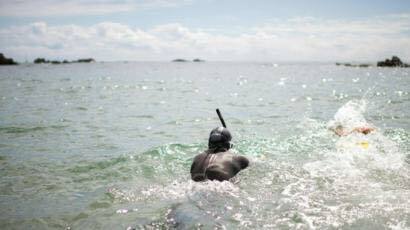 The most exciting news is Seeker, in partnership with Discovery and produced in association with Nomadica Films, has announced a new expedition called “The Swim.” It will feature Ben’s attempt to be the first man to swim across the Pacific Ocean and the research his crew will conduct throughout the expedition. 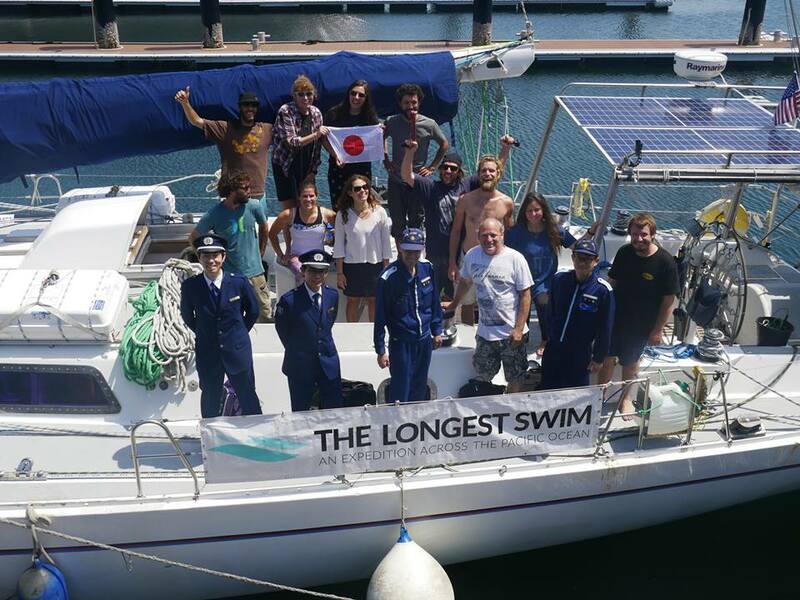 “The Swim” will bring Lecomte’s six months Trans-Pacific journey to viewers across multiple platforms with live video from the boat, a mid-form video series on Seeker’s channels and Discovery GO, short-form social videos, weekly Instagram Stories, weekly TV swim updates on Discovery, and will culminate with a feature-length documentary in 2019. We, The Longest Swim, are dedicated to providing our followers with personal contact, direct links to Ben’s blogs, health, statistics, life on board Disco from daily crewmembers blogs, and the raw scientific data we collect during the expedition. We’re extremely excited about Discovery’s announcement to help tell Ben’s story with the world all while shining light on such important issues as plastic pollution and the oceans health. 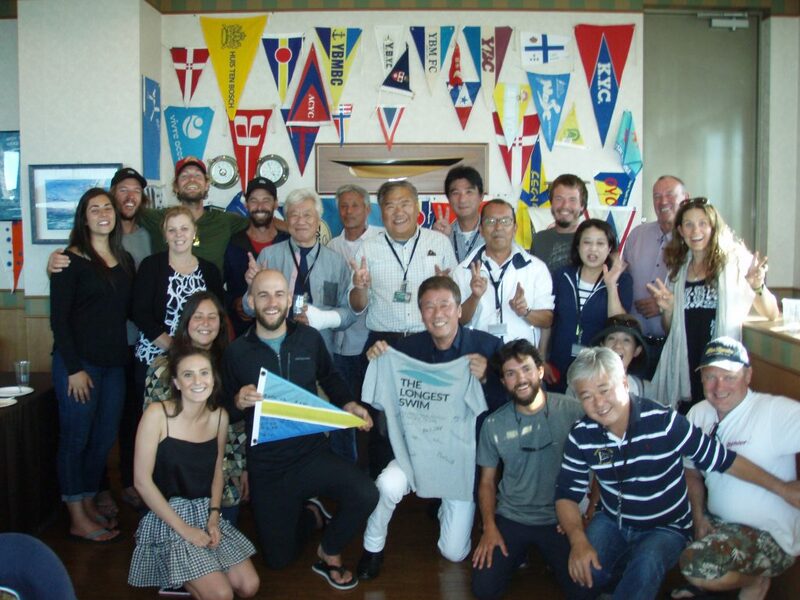 Meanwhile, the team were given a warm official welcome to Japan by the Yokohama Bayside Marina where they exchanged a Longest Swim shirt with the marina’s official flag. Disco will fly her high and proud during the expedition! Good luck. I do not know when you started. What I know is that you are swimming for healing humanity. I dreamt of last night that I was an old sick mother and the whales took me in the depths of the ocean and swimming with them restored me to life. And in the depths the whole town had been taken in and was being healed. I will keep you in my heart. Blessings. Good luck and stay healthy!! The scale of this endeavor is epic. The rationale behind it is inspiring. Best of luck on your adventure. My family wishes you nothing but the best. You had a dream. You set a goal. You prepared for the challenge. You are now on the adventure to become one with the ocean, for as long as it takes. Fair winds and following seas to you and all who are part of your support team.